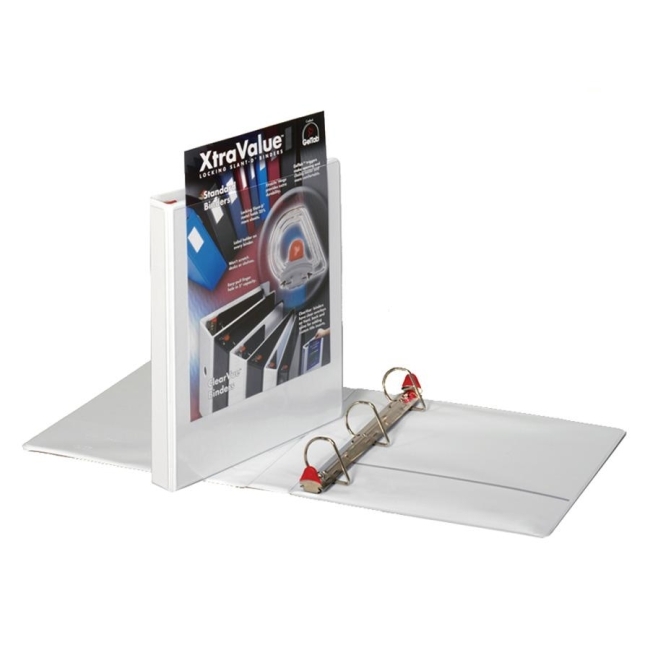 Create custom binder covers and spines with the XtraValue locking ClearVue presentation binders. Unique Slant-D ring design holds up to 25 percent more paper than conventional round-ring binders. Metal locking rings with GelTab triggers secure papers and prevent accidental spillage. Patented XtraLife hinge provides durability. Crystal clear cover with micro-cell texture offers a polished appearance. Horizontal pockets are inside front and back cover with sheet lifters.